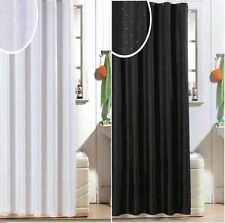 '); } --> BRAND NEW BATHROOM ACCESSORY SET ---Frosted glass tumbler and chrome wall mounted holder ---Frosted glass soap dish and chrome wall mounted holder ---Chrome towel rail 24" ---Chrome towel ring ---Chrome toilet roll holder ---Chrome robe hook. Corpo in acciaio cromato. Informativa ai sensi del D.Lgs. possesso per superare l'empasse. N.B: La cromatura dell'aspirale può variare dalla disponibilità di magazzino. Facile da installare. It is also a GMC Certified Manufacturer (audited by TÜV Rheinland). Keith titanium product samples passed EU Food Grade (German LFGB) test and U.S. FDA test (both undertaken by SGS). 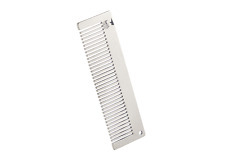 Premium pure titanium pocket comb. Solid Cast Iron Anchor and "Rope" Toilet Paper Holder. Nice anchor nautical decor look for your bathroom. Manly way to handle that paper roll too. Authentic cast iron construction, left natural with double clear coats applied. 3x bottle decals inspired by Mrs Hinch - Approx 12cm wide. Suitable for all bottles. This listing is for the decals only - BOTTLES NOT INCLUDED Not suitable for dishwasher, heavy scrubbing or soaking - WIPE CLEAN ONLY Your chosen decal is available in a variety of colours. Please choose your colour from the image above. PLEASE NOTE: If no message is sent to confirm colour choice, then by default this decal will be sent in 'Pale Grey' (as shown in the product images) - Brand new and high quality material - Easy to apply - Sticks to any smooth, clean surface - NOT suitable for dirty or rough surfaces - Long lasting but easily removed Our decals are precision cut and prepared for you to apply with ease. We use a high quality 5-7 year self adhesive vinyl that can be applied to laptops, iPads, walls, windows, tiles and more. Harbour Housewares 3 piece bathroom accessory set: 1x Soap Dispenser, 1x Soap Dish & 1x Toothbrush Tumbler. Toothbrush Tumbler. Pump Soap Dispenser Bottle. Made from ceramic with a high gloss finish, the bold light blue and white stripes of these toilet brushes brings classic nautical styling to any bathroom. This one of kind decor will look great and have everyone talking! The quote on the side states. ~ Hadida ~ Bathroom Set ~. ~Lilliput Lane ~ Bill And Ben’s ~ L2325 ~ 1999 ~ Original Box & Deeds. Jug & Bowl. Water Jug & Bowl. Jug 5" Tall (Approx). "Two Piece Bathroom Set.". In Fine China. In Fine China. 5 x Klebebefestigungs-Set (für glasierte Fliesen). inkl.nie wieder bohren. Passend für alle Badeaccessoires mit dem Hinweis "Nie wieder Bohren"! Sicher befestigen und auch Rückstandslos wieder entfernen. 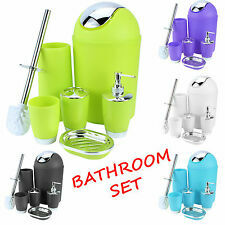 Harbour Housewares 3 piece bathroom accessory set: 1x Soap Dispenser, 1x Soap Dish & 1x Toothbrush Tumbler. Toothbrush Tumbler. Pump Soap Dispenser Bottle. Soap Saver Dish. 3 Piece Bathroom Accessory Set from Harbour Housewares. Premium pure titanium purse comb. It is ultrathin and ultralight! It could be easily inserted into a purse. It is also a GMC Certified Manufacturer (audited by TÜV Rheinland). Keith titanium product samples passed EU Food Grade (German LFGB) test and U.S. FDA test (both undertaken by SGS). This bathroom accessory consists of 4 pieces: tumbler, toothbrush holder, soap dish, soap dispenser. Bathroom Hair Sewer Filter Drain Outlet Kitchen Sink Filter Strainer Drain Cleaners Anti Clogging Floor Wig Removal Clog Tools. Get out of a hairy situation! is a handy hair catcher that prevents hair from clogging up your shower or bath. NEW 6" WALL MOUNTED TOWEL RING. HOLE X HOLE MOUNT 1 1/2". Part # 2125-OB. • Seifenschale. • Seifenspender. • Material: Keramik / Kunststoff. • Zahnputzbecher. Es sind die kleinen Dinge, die Ihr Bad erst so richtig exklusiv machen. das schönere Bad. Manufacturer: Moen Model#: YB9324BN Condition: NEW Warranty: Manufacturer's Warranty List Price: 123.40. With this Moen Showhouse YB9324CH Divine 24" Bathroom Towel Bar, finished in Brushed Nickel, effortless, straightforward style mixes with crisp, classic details to add instant drama to your bathroom while creating a finished look that is singularly yours. LOVELY TEXTURED 3 PIECE BATHROOM ACCESSORIES SET. ADD A TOUCH OF GLAM TO YOUR BATHROOM. CERAMIC TEXTURED FINISH. 3 Piece Wooden Bathroom Set + Extra Threshold Wooden Toothbrush Holder - New!